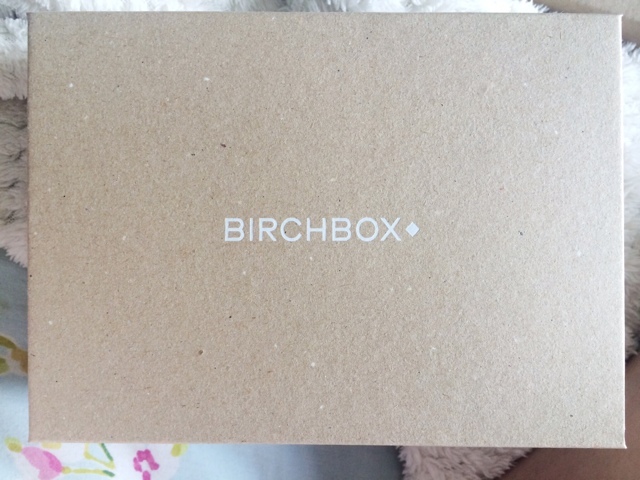 I'm aware it's July but I have just received my Birchbox and thought I would share it with you. If you don't know what Birchbox is, it's similar to Glossybox. 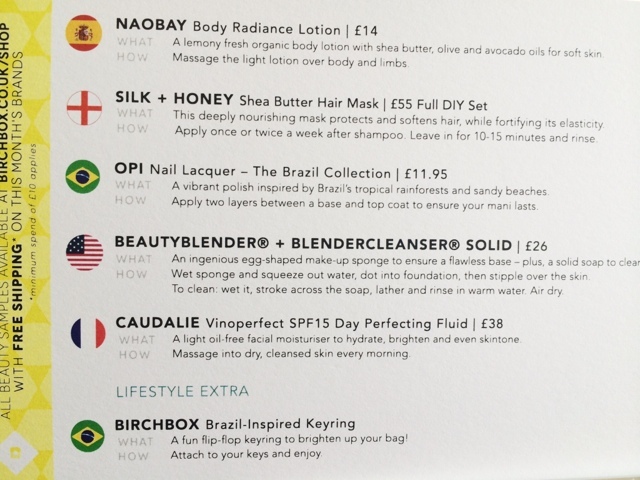 It's a monthly subscription beauty box where you normally receive 5 beauty products for £10.00 (+P&P). So let's get into what was in Junes box. This months box is Global Strikers. 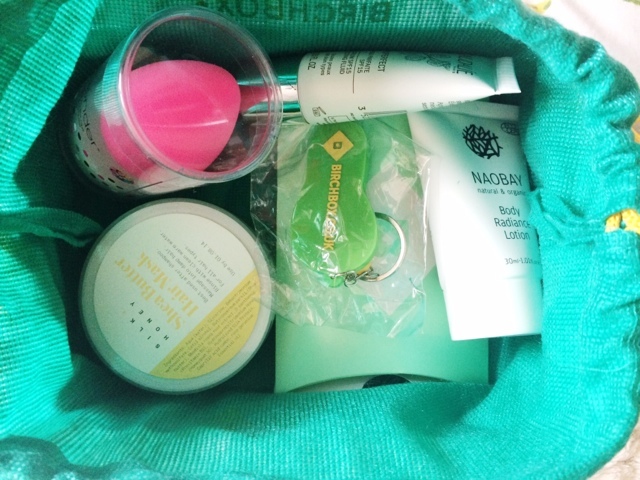 With a bright green and yellow, Brazil themed bag, this box is filled with top beauty players from across the globe. As a "lifestyle extra" Borchbox kindly included a little Brazil Inspired Keyring, which is a green and yellow flip flop. 1. Starting off with the Naobay Body Radiance Lotion | £14 | this has a really nice, fresh lemon scent with Shea butter, olive and avocado oils thrown in for super soft skin. I'm looking forward to seeing how this works. The only thing I would say is I don't know why they have called it a radiance lotion when there's nothing on the packaging to say it adds radiance? Hmmm, interesting. 2. Next is the Caudalie Vinoperfect SPF15 Day Perfecting Fluid | £38 | and I have already got this and tried it and due to the reaction I had with the serum, I have been a tad anxious to use the other products in the line. But maybe I'll be brave and give it a go, let's hope my skin won't hate me for it after. 3. The Silk + Honey Shea Butter Hair Mask | £55 | is ridiculously expensive, the price is for the full DIY set but even still. This stuff smells amazing. Obviously it has shea butter, and is supposed to be a deeply nourishing mask which protects and softens hair. 4. The most exciting one for me and the reason I actually re-subscribed, is the Beauty Blender + BlenderCleanser Solid | £26 | which I am so excited to try out. I have the Real Techniques Complexion Sponge but I have always wanted to try this so tomorrow morning I shall be cracking this out. 5. Finally is the O.P.I Brazil Collection | £11.95 | can't say this is a shade I would pick out or even attempt to pull off. I think this is in the shade I Just Can't Cope-Acabana. That's it for this post. If you like these, be sure to check back for Julys Glossybox which should be here shortly. Looking forward to it.